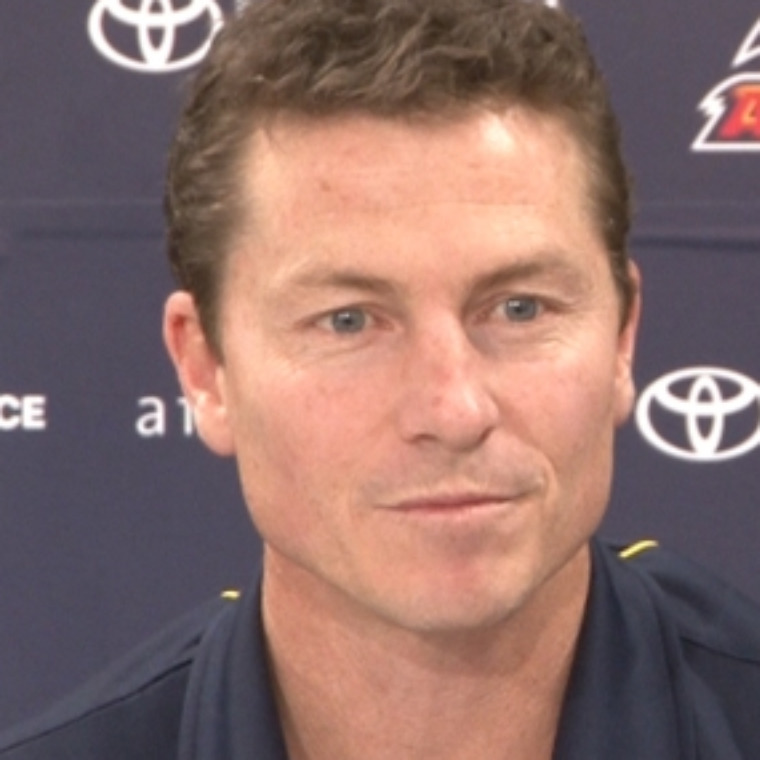 Dual premiership captain of the Adelaide Crows, Mark Bickley was a mainstay in Adelaide’s line-up from the club’s inception in 1991. Over his 272 games, Bickley was one of the Crows’ most reliable players. His consistently high standard of football was rewarded at the start of 1997 when he was made club captain. Bickley became Adelaide’s first Premiership Captain, with a famous Grand Final victory over St.Kilda in 1997. He further enhanced his reputation by leading his team to Back-to-Back Premierships against hot favourites the Kangaroos in 1998. Bickley continued to perform in the Crows’ midfield until his retirement at the end of the 2003 season. Mark then shifted his attention to Media, working with Channel 9 in both Adelaide and Melbourne presenting the weekend sports news and as a panellist on the Sunday Footy Show. He was also a regular on Triple M’s game day calling team providing special comments. In 2006 Bickley was invited to join the selection panel for the prestigious All Australian team, a position he held for 3 years. In 2009 Mark returned to the Crows and is currently working as an assistant under senior coach Brenton Sanderson. Mark’s success in football and media provides him with a high profile in South Australia and also nationally.